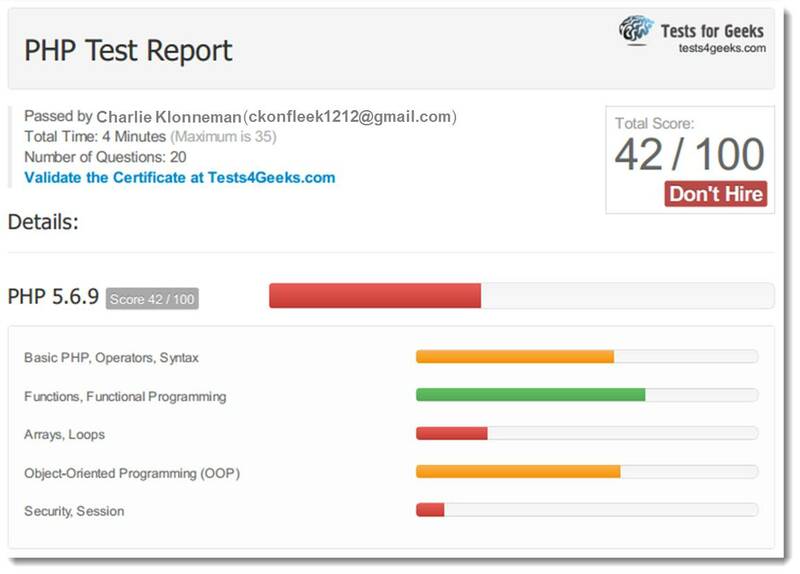 Test4Geeks Review: A dead-simple but highly effective platform that allows you to administer quantifiable online testing to programmer prospects, helping you decide who you want to invite for an interview. While the pool of developers and computer programmers has overflowed with options in the last 5 years, the ubiquity of the trade has resulted in an overwhelming and somewhat chaotic range of backgrounds, education systems and competence levels. This range has arguably made it even more difficult to pick out the good ones; sure you’re a developer, but are you a fundamentally good one? Ideally, as part of your hiring process, you can answer that question with some reasonably quantifiable confidence before you burn the time and money required of live interviews. As more and more companies do away with ambiguous, archaic preliminary probes like cover letters, more and more leaders in the recruitment space are leaning towards the practical and the applicable. In his book, Work Rules!, Laszlo Bock, SVP of People Operations at Google, describes his company’s endorsement and reliance on “Work Sample Tests” rather than unstructured dialogue and embellished résumé bullet points. While Google implements work sample tests during live structured interviews, when it comes to mid-to-high level programmers, there is no reason why you shouldn’t explore a process that applies practical, quantifiable testing to help you decide who you want to even invite for an interview. 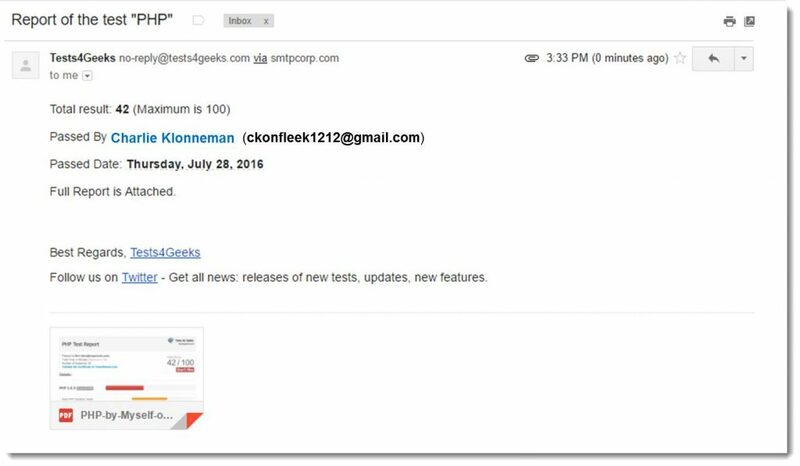 Tests4Geeks is a dead-simple but highly effective platform that allows you to do just that. Tests4Geeks is a platform that facilitates easy administration of online tests to programming job applicants, ultimately determining their skill and knowledge levels early on in the recruitment process. 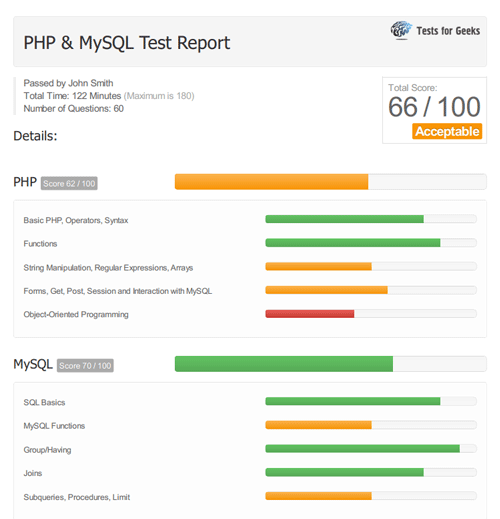 The tests are entirely designed to uncover fundamental, fingers-on-keyboards skills. 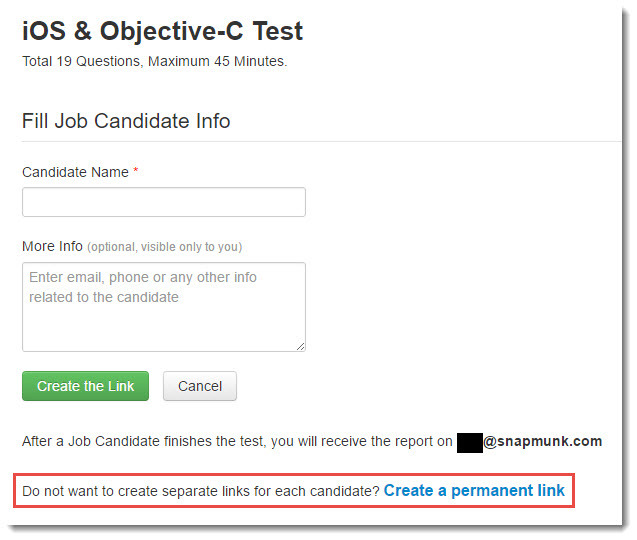 In short, you sign up for an account, you pick a test, you send the interview candidate a link to the online test, they complete the test, and then you get a report summarizing their results, their score out of 100, and a recommendation as to whether or not you should consider them for a development position. As determined by research performed by the Tests4Geeks team, the tests for each individual topic range between about 20 and 30 questions–like the Java Programming Test or the C++ Programming Test—while some tests combine multiple areas. Depending on the number of areas covered, tests can require between 15 minutes and 2 hours to complete. From the administrator’s perspective, sending out, managing and reviewing the tests couldn’t be easier. You’ll note (in the red box above) that you also have the option to set a permanent link for any test so that it can be automatically incorporated as a fixed/required step in any or every online and offline application process you already have. Could someone cheat? Ya, they could try—after all, it is a remotely administered examination. That being said, there are safeguards. First, the default URLs generated for the candidates are totally anonymous and straight-up jibberish (e.g., http://dfb34.com/start/dfgdf4df). So even if they wanted to “prep” for the test, they wouldn’t know where to look. 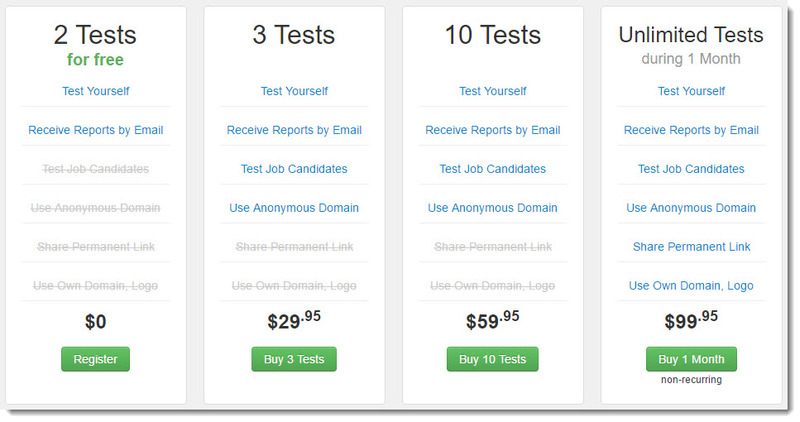 Almost as easy as the UX is the pricing model; you can purchase 3 tests at a time for about $10 per test, 10 tests at a time for a discounted rate of about $6 per test, or an unlimited number of tests (along with access to the permanent link and custom branding) for $99 for one month. 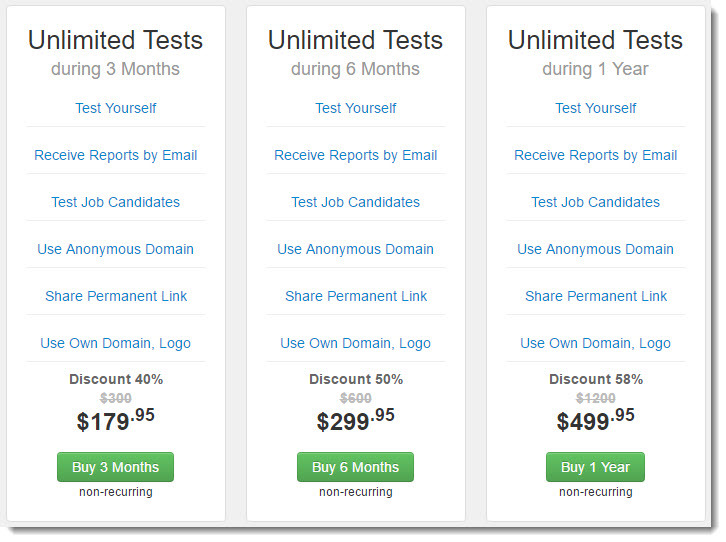 If you purchase the Unlimited Testing package for 3, 6 or 12 months, you get a 40%, 50% or 58% discount respectively. 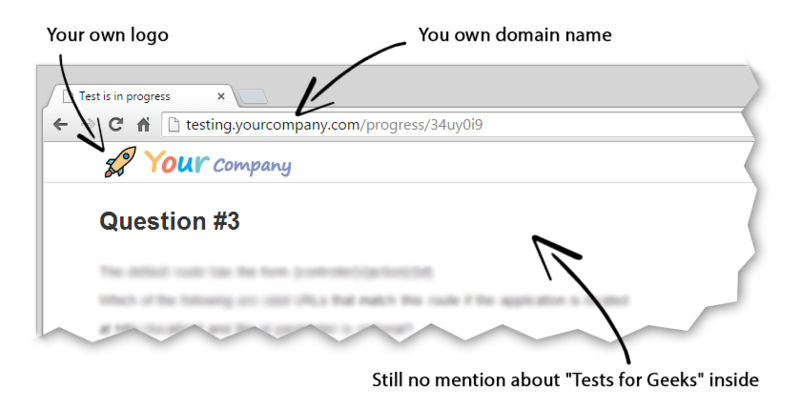 So if you’re serious about not only hiring sound developers, but optimizing your processes to save money and time—a goal rather defining of today’s dominant tech culture—you should seriously check out Tests4Geeks. Less than $100/month invested in practical screening practices could save you thousands in unnecessary interviews and botched hires. Who knows; you might even get your lunch breaks back. This post has been sponsored by Tests4Geeks. Thank you for supporting the partners that support SnapMunk. You know something, I never thought of looking something like this up online. Up until now, I had no idea what my programming skills even are, but do NOT have a piece of paper showing they are “educated”. Even the annual fee that you would pay for “unlimited” tests is not that bad. If you think about getting to really know a programmer, there does not seem to be any easier way. As a consultant for a programmer placement company, I can easily vouch for this service that is one that you can use to vet a programmer and for the money, it is WELL worth it. With fraud protection built it? Now this is something that could be VERY useful for those that have programming skills, but do NOT have a piece of paper showing they are “educated”. You know something, I never thought of looking something like this up online. Up until now, I had no idea what my programming skills even are. I can only compare them to what I create and see created online. I am intrigued.